When considering branding it’s easy to immediately think of large multi-national businesses. These businesses would have spent many years and dollars to become recognised in the marketplace for a particular product or service. It may seem like any small to medium enterprise (SME) wanting a strong brand must spend exorbitant capital to achieve this however this isn’t the case. It can be natural for SME’s to disregard the need to build a brand as customer service and daily tasks can be more pressing. No matter what industry a business operates in, or its size, a reputable brand can achieve business growth as the company will be known in the industry and among its target audience. It’s important to be realistic when building a brand and accommodate for the stage a business is in. It would be unreasonable for a start-up to try achieve the same level of branding as an international business that’s been operating for a century. That said, there are some fundamental branding principals that every business should consider as all organisations need to be actively marketing and seen in the marketplace. Branded apparel, uniforms, and promotional products are easy and cost effective methods to build brand recognition among customers and prospects, and is a proven marketing method. From a client’s perspective how do your staff present themselves? Cafes that don’t have a uniform, even just the same styled branded shirt, give a different impression than a team in professionally branded uniform apparel. Same can be said for trade’s people arriving on-site without any form of branding or company representation. A clearly visible brand gives credibility. A brand is more than just a logo on a letterhead. Strong brands are consistent, and are uniform across all business collateral. This is the same for staff appearance. By having a consistent uniform across staff, sports teams, or in retail and hospitality businesses it displays your organisation as professional. Products have different life expectancies and some materials last longer than others. Does your branded apparel, uniforms, business shirts, jackets, or hi-vis clothing look tired, faded, or well-worn? Uniforms represent your business and speak volumes about your brand. EmbroidMe supplies and brands top quality apparel, uniforms, clothing, and promotional products so that your brand will be noticed and professional. A small logo on a letterhead or in the office’s reception alone doesn’t build a strong and credible brand. A brand needs to be seen. Brands need to be clear and visible. When it comes to branding careful consideration should be taken to think about style, design, and colours. EmbroidMe supplies a huge range of products in various styles, colours, and designs, so that branded apparel and uniforms builds your brand. Across April and May EmbroidMe are offering a free branding consultation to assist organisations get the most from their marketing spend and build a strong brand. Better yet, each consultation meeting goes into the draw to win $150 store credit to help get them started! This branding consultation provides an opportunity to explore marketing objectives, specifically on branded apparel, uniforms, and promotional products, and find the best branding options for the business. EmbroidMe have years of branding experience and have partnered with many organisations to help them achieve their marketing goals and branding requirements. EmbroidMe can bring product samples to you and advice on what best practices for your business. Invest time in a branding meeting this April and May and let us partner with you to develop the best branding solution possible. Click here to select your nearest store and to arrange a time to meet with them. What’s Trending in the Promotional Products Industry for 2015? With the new year underway, promotional marketing experts have spent January scouring the promotional products industry for the most innovative ways to promote your brand. Items that could be used every day and make your life easier are a big trend as marketers want to ensure their products serve to benefit their prospective customers and make a daily impression. Ever-popular items like pens, bags and cups appear with new innovations every year. For instance, bags with reflectors built in for safety are new this year, as are pens that can also be used as a stylus with touch devices. Even ceramic mugs with quirky additions like a chalkboard finish for writing notes on them are available. Every year, suppliers come up with creative solutions to liven up promo products. As usual, we saw a huge surge in the number of tech gadgets as well. Chargers, Bluetooth speakers and triple USB ports were in high demand. Multitasking items like wireless headphones are indicative of our modern on-the-go lifestyles. Now, with the number of smartphones booming, accessories and cases are also increasing in popularity every year. Items like phone wallets with stands, tastefully branded, are popping up everywhere. Wellness is a growing trend in promotional products. Water bottles are a big hit, especially those you can hold while you run, and some are even collapsible. Related to this trend are fruit infuser drops to flavour the recommended eight cups of water a day. Sunglasses are still as popular as always, featured in a variety of fun colours and stylish options. 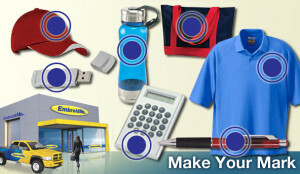 Customising apparel is a mainstay of promotional marketing. Recognizing the longevity of promotional apparel items, marketers are opting into sublimation printing for brilliantly coloured, long-lasting imagery that won’t fade as the item goes through multiple wearings and washings. Video marketing is taking the promotional products industry by storm! Imagine opening a designer box of chocolates to find a promotional video inside – what a way to make an impression! Logoed packaging in general, “marketing in a box,” is becoming a big trend. We’re excited to see how these new trends play out through the year. If you’re a novice in the online world, you may be curious about the benefits of internet marketing for your small business. The local search landscape is rapidly evolving, and getting found online, generating new leads, and measuring and tracking results is more important than ever for local businesses trying to succeed and generate growth. Despite the continuous fluctuations in system, staying on top of the current online marketing techniques is fundamental to the success of your business. We’ve outlined a few methods you should try below. Local Search Services: If you’re a local business owner who is marketing to a specific geographic area, you need to employ your marketing dollars to attract people who are inside your target area. If you haven’t narrowed your geographic scope, you’re essentially wasting money on marketing to people who are unlikely to become customers. Claim and Optimize Local Listings: Many businesses do not realize that listings like Google Places, Yelp, Yahoo and Bing Local ar complementary or already exist and need to be claimed. Listing your business information on each of these platforms greatly increases the chances that you will be found by your target audience. Create Geotargeted Landing Pages and Content: Targeting specific geographic areas with specific services in close proximity to your business location(s) is important. You want to help people find you with minimal effort, and with geotargeted landing pages, they’ll be much more likely to find your company when they search for services in their area. Keyword Research and Analysis: Consumers cannot find you if you are not using their se terms. This is where the expertise of a local internet marketing company is especially beneficial: They’ll do the research to find what potential customers are searching for online locally and they can integrate this information into your website to improve your local search rankings. 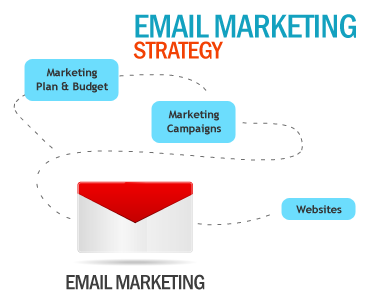 Email Marketing Services: Email marketing is an increasingly effective way to encourage repeat business and customer loyalty. It is a growing resource for local businesses and researchers estimate that United States firms alone spend $2.468 billion on email marketing by 2016, up from $1.5 billion in 2011. Furthermore, email marketing is reported as second only to search marketing as the most effective online marketing tactic. However, many local business owners are missing a tremendous sales opportunity because they don’t understand how to appropriately use email marketing to their advantage. If you don’t have a set email marketing plan with a set schedule and objectives and you’re not marketing to past, present and potential customers via email, you’re losing valuable business! Content Marketing: According to a Content Marketing Institute (CMI) 2013 Survey, 86% of B2C (business to consumer) companies are planning to keep or increase their current content marketing spending this year. 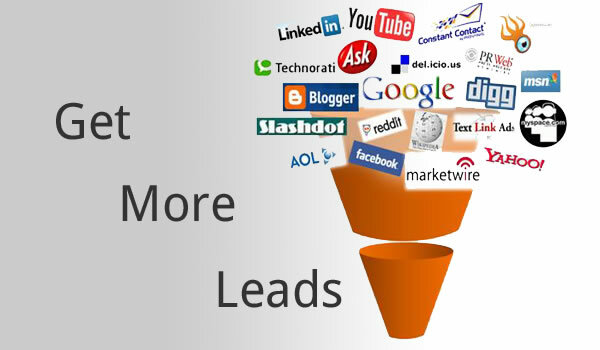 54% of B2B (business to business) companies are planning to maximize the benefits of internet marketing by increasing their content marketing spending in 2013. This shows that demand for content marketing is increasing, and the primary reason is that the only way to rank on the first page of search engines is to consistently write exceptional content that people want to read and share. For small local businesses this takes more than just compelling ideas and an engaging writing style. There is still an underlying content formula that must be understood and followed to achieve ranking success. Small business owners don’t go into business to become marketing experts, however to succeed, using cost effective online marketing tips is critical. I believe that these Top 5 Online Marketing Tips For 2013 are critical for a business to implement sooner than later. Here are the most important Online Marketing tips that will positively help boost your online presence. A static website that talks only about you is no longer a useful online marketing tool. No one has time to read about how great you are if they don’t know what you can do for them. Instead, transform your website into a useful online marketing tool that helps your prospects understand who you are and what you can do for them while making it easy for them to contact you. Creating quality, relevant online marketing content attracts your target market and positions you as the expert in your industry. Whether you like to produce content or not, you must find a way to create information that helps your customers. How you provide this information will depend on your target audience. Just make it easy for them to acquire and read your content. When someone has figured out that they want to work with your company, respond quickly to their inbound requests. This will continue to build the relationship with them that you began with your content. A content marketing plan and editorial calendar helps you create a road map for what content you will develop over a period of time. Whether you can plan for 12 months or a few weeks, planning ahead helps you to not waste time trying to figure out what content to produce and in what media – text, video or audio. With the changes to the Google search algorithms over the last year, old style SEO no longer works and in fact, there are many very old SEO techniques and bad online marketing tips that if you keep doing them will kill your visibility. The best thing you can do is learn a little about SEO, what works and what doesn’t. Then you can decide whether you should hire a local, reputable marketing company to help you or do it yourself. Start with on-page SEO for your WordPress website. Install a plugin called WordPress SEO and spend some time learning how to use it. This robust plugin helps you walk through the SEO process for every page or post on your website. Here is a very good online marketing tip for SEO. Mobile is how people are using the Internet now. Get ready to support mobile access to your website so you don’t miss out on this opportunity. Most small businesses will not be able to afford having both a browser website and a mobile website designed and developed. If you transition your website to a responsive theme, you can support all devices easily. Responsive web design responds to the size of the device being used and there are many free and premium responsive WordPress themes available. Although a responsive theme may not be the right choice for all websites, the benefits of responsive theme design outweigh the negatives. Therefore, it most likely will be the most popular small business solution for mobile support. Have you developed an opt-in email list for your business? Email marketing complements your online presence. It enables you to reach people who have proven they are interested in you by signing up for your email list. Make it part of your content plan to create a valuable product such as an ebook, whitepaper or useful tool, that people get for free when they sign up for your email list. Then develop a content strategy that continues to help your list with problems they have. This continues to develop a relationship with your subscribers and attracts those interested in your business. 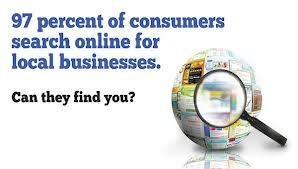 Will your future clients find your business online?